There is a true California ethos that the state is an amalgamation of America. The Golden State has absorbed virtually every American culture and made it her own. Native Californian Andy Santana and his music speak directly to this notion. His music has always drawn from styles whose roots can be found in Chicago blues and New Orleans R&B for instance. He adds a dose of West Coast blues to the mix and invariably comes up with something that sounds fresh, exciting and just plain fun. Andy Santana is such a gifted musician it is almost scary. He has a unique voice on three different instruments, voice, harmonica and guitar. Combine that with his natural flair as a songwriter and it is virtually impossible not to have the highest admiration of this immense talent. For Andy’s part he exudes a kind of laid back modesty that is often present in the true greats and yet stands in sharp contrast to his musical prowess. His career is also like his home state in that it has been somewhat isolated from the rest of the country. He has been a consistently exciting recording artist and live performer for many years but too few East of the High Sierras are aware of Andy Santana. That is about to change, for after years of releasing his music independently, Andy Santana has found a record company in Delta Groove Music which shares his vision of West Coast cool. The album Watch Your Step is scheduled for an October 16th release and it is a beauty. Andy Santana has fronted talent laden bands for years, such as the West Coast Playboys and The Soul Drivers. Both bands were big hits wherever they played. In the Northern California beach/college town of Santa Cruz, for instance, the affection for the music of Andy Santana borders on cult and/or legendary status. His band The Soul Drivers played a weekly Tuesday night gig in front of a packed house at the biggest joint in town, Moe’s Alley, for nine years. 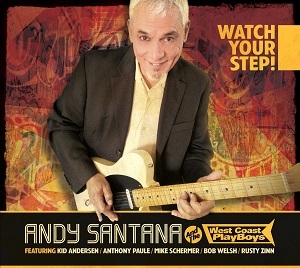 For his new CD, Andy Santana has resurrected the infamous West Coast Playboys. The album features an army of talent including Kid Andersen, long time musical companions Mighty Mike Schermer and Rusty Zinn as well as Bob Welsh, Anthony Paule, June Core, Lorenzo Farrell and others. Covers such as Carol Fran’s Knock Knock, Bobby Parker’s title track, Dave Bartholomew’s Playgirl and Go on Fool, Z.Z. Hill’s One Way Love Affair and others, along with some Andy Santana originals, make for one of the most entertaining albums of the year. 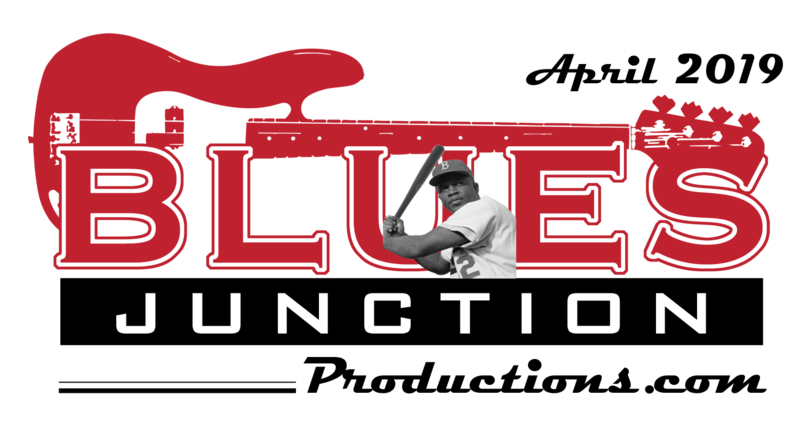 It has been a while since we have heard from this uber-talented veteran and it is great to have him back. While listening to Watch Your Step it is as if you are in a New Orleans dance hall that just happens to be on a beach in California. Sorry Santa Cruz, your secret is out of the bag.